Long before the Canadian Tuxedo was a thing, denim was doing a hard days work far from the fashion crowd. Double denim was originally sported by blue collar workers, it didn’t need much care and was strong enough to stand the test of time. Function over form. 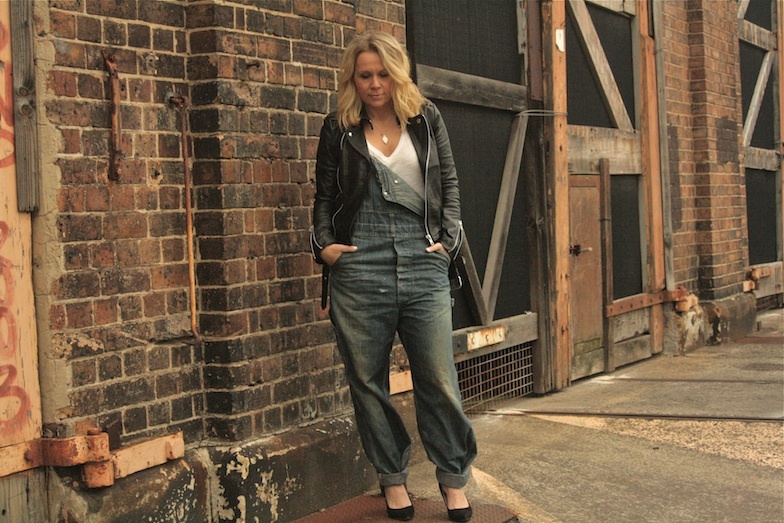 Jeans as we call them today, were once known as ‘waist overalls’ and formed the basis of their work ensemble. The outfit I’m wearing in this post is an absolute authentic from the 1940’s-1950s, this is what they wore to build America! Denim has really come into the spotlight these past 150 years. 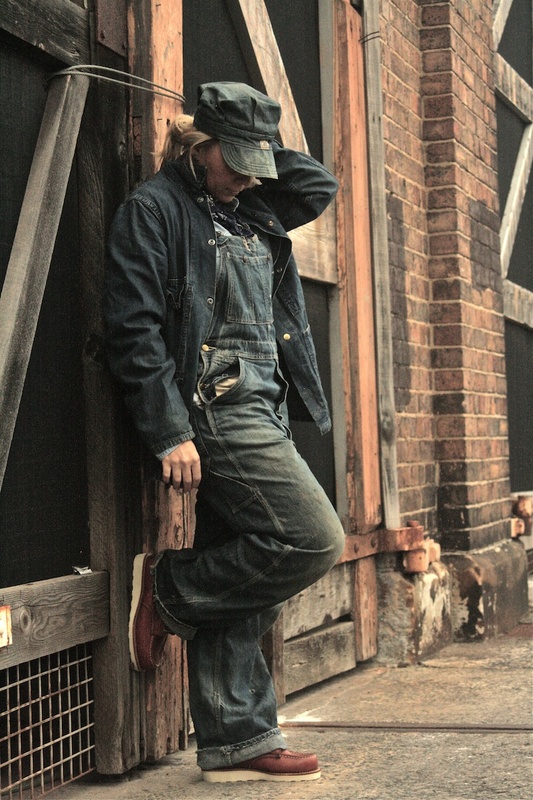 It was made famous by Levi Strauss and Co’s patented waisted overalls and gradually spread across all of the American West (worn by the miners), and around the same time, moved into the midwest where the farmers and cowboys were also using it. Over 50 years it gradually dominated the working class market for garments all across the US. During WWII America sent their Navy all over the world wearing their highly recognisable sailor jeans (and jacket which is less recognisable to the average person but is a highly sought after collector piece). This really boosted the demand for denim across the world after the end of the War. A full outfit is the absolute classic way to wear denim because of its history as a workwear garment. Wearing workwear for a purpose usually demands a full outfit to suit the task. 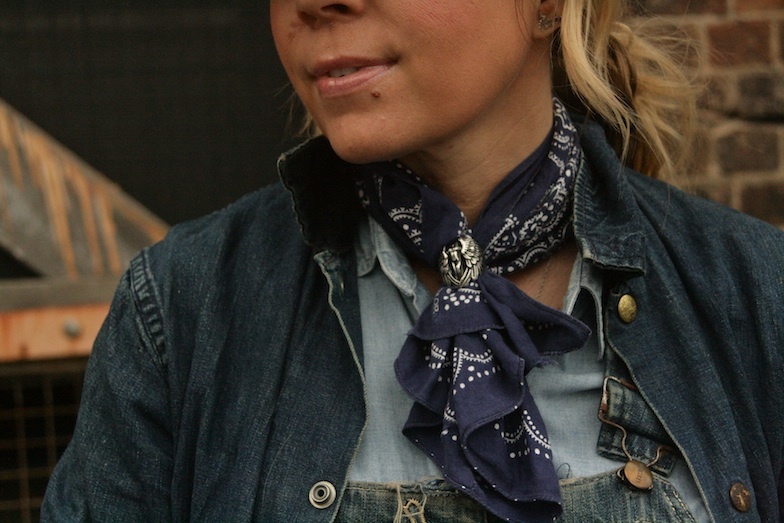 Double denim is an intrinsic part of the denim culture and should always be celebrated! I think this is something which has quietly disappeared from the fashion industry, and is arguably non-existent in today’s fast fashion brands. Denim has such a big place in global culture, and its continued popularity through time makes it a great narrative of clothing history and culture which is readily accessible and understandable to our clients. The key to its enduring popularity is clearly the utility of the fabric and of the garment (to take jeans or overalls as examples, which are both trends which span across three centuries and show no sign of losing their appeal). We feel that it is really important to keep old and rare pieces so that we can bring people deeper into the vintage culture when they visit our store. By bringing denim pieces of many styles and ages, this narrative can be filled out with real examples in the minds of our clients. We find it really brings pleasure to the experience when clients are able to visit the store and to see and touch things they have never seen before, and at the same time to be able to contextualise those pieces into their personal knowledge and to fill out that wisdom a little with the extra knowledge that we are able to share with them. At Fabrique Vintage, it’s possible to see and touch pieces as old as 1900, right alongside denim jackets, shirts and jeans that are only 20 years old. It’s difficult to illustrate with words the difference between the fabric denim we know today compared with what was being produced in the first half of the 20th century, but without this context my customers would not be able to learn to appreciate for themselves the value of the vintage we sell. It empowers people to look for themselves at the details of what they wear: what kind of fabric it is, how the stitching is done, what the shape represents (i.e. where it fits in an historical context), and to be able to discern between different levels of quality both of the fabric and the garment itself. This kind of knowledge empowers customers when they leave my store and continue to consume elsewhere, it helps them place a value for themselves on what they consume. There are many people who want to jump off the train of fast fashion, not only because it hurts the wallet to replace the wardrobe every season but because it is a large portion (apart from food) of their personal consumption. The reality is that the large vintage clothing dealers in the world already hold more clothes than Zara or H&M will make in a year, five years even. In addition to this, the intrinsic value of vintage clothing is already higher because it is manufactured of a much higher quality than what we can buy today for a relative price. And we really don’t need to be producing so many new garments – certainly not in the quantity that is currently occuring. There is an abundance of fabric ready to be reused and repurposed. Take our leather jacket you are wearing – 3 vintage jackets upcycled into a fresh modern cut. A perfect example of utilising textiles we already have in existence rather than producing something new and its so great to see the vintage overalls holding their own as a chic current trend. And thanks to Ally for taking the pics and crafting the story with me.